Hard Powder—a very Canadian-sounding action movie in which Liam Neeson plays “an honest snowplow driver” who goes all Liam Neeson on a local crime boss after his son gets killed—has run into a rough patch of snow, with Uproxx reporting that the Canadian parks service has denied the film shooting access to its locales. The trouble apparently stems from the film’s depiction of a First Nations crime boss, played by First Nations actor and musician Tom Jackson. 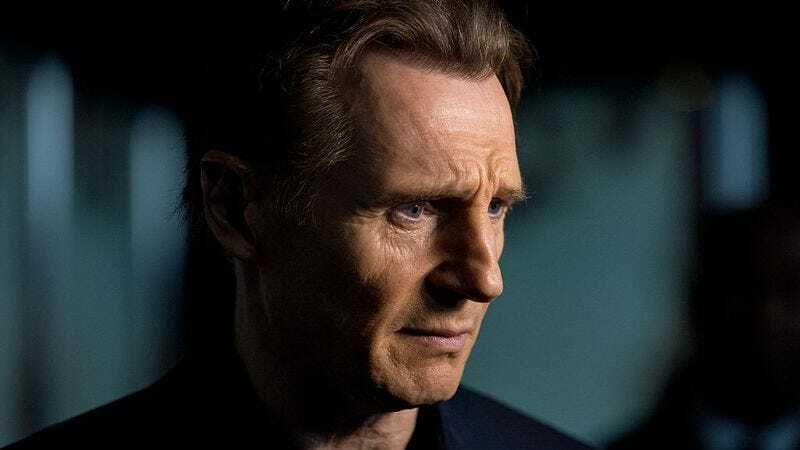 Liam Neeson has yet to comment on this story, presumably because he’s too busy staring off into the middle distance, imagining all the retired-hockey-players-turned-syrup-mafia-goons he’ll get to run over with a snowplow once production starts back up.